Dr. Mike Burkhart is a talented emergency room physician in Sussex County, Delaware. He is also an avid golfer. Many people say that golf imitates life. Dr. Mike’s experiences at work and at play remind us that this old saying doesn’t always hold true. If Dr. Mike is at Beebe Hospital and says, “You have a stroke,” that’s bad! If Dr. Mike is at Sussex Pines CC and says, “You have a stroke,” that’s good! In other words, today’s column is about handicapping. 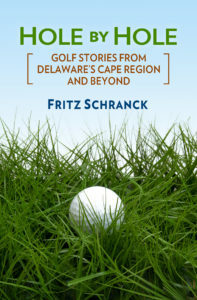 Golf’s handicap system is unique among outdoor sports for its ability to provide a method for fair competition. Developed by the USGA, these rules allow you to adjust the scoring to match the relative abilities of the players, and help make golf fun for everybody. If I played tennis with Pete Sampras and he had one arm tied behind his back, he’d still beat me like a rented mule. There’s no way to change the rules of tennis so that a set between Sampras and me could finish somewhere other than 6-0. If Sampras and I play golf, however, using our handicaps makes it easy for us to play together. I actually have a chance to win. One part of the USGA handicap system deals with blow-up holes. Almost all golfers have rounds where they play their normal game and then butcher a hole or two. An 8 on a par 3 counts as a blow-up hole, for example. To keep these high scores on a few holes from having too much influence on your overall handicap, the USGA uses a reporting procedure called Equitable Stroke Control (ESC). It allows you to lower your reported score on the holes you really screwed up to a level that’s more typical for your handicap. The amount of ESC adjustment is based on a range of handicap categories. Many low-handicap players were not happy with the prior ESC system, in which they could only “take a 6” on any hole. This meant they could not report a double bogey on a par 5, but had to report a 6 on a par 3. The folks at the USGA, or as we humbly call them, The Keepers of The Game, heard these complaints and took action. In 1997 they tried an experimental arrangement with 12 state and regional golf associations. The new methodology kept most parts of the ESC procedure the same, except that a player with a course handicap of 9 or less could record a maximum of double bogey on any hole (2 strokes over par). The experiment was well received, and became an optional procedure for 1998. Beginning January 1, 1999, this change is now mandatory. So how much impact is this rule change likely to have? For the private clubs, it all depends on the makeup of the regular players. Nationally, about 18% of all male golfers have handicaps of 9 or less. Only 1.5% of all female golfers are affected by this change. According to the USGA, this change will have a very slight increase on the average Handicap Index of the single-digit handicappers. Depending on the golf course, this slight change might move them up an additional stroke. The Keepers will be watching the results and waiting for your reactions. It will be interesting to see if they do more tweaking in the future.